Turn your outdoor living area into your own personal oasis. If you are searching for the most versatile way to shade your lanai for comfortable outdoor living, retractable awnings are ideal for you. Living in Southwest Florida brings warm and sunny weather most of the year, especially during the summer months when the sun is at its peak and the temperature and humidity are high. With daytime highs of 95 degrees, relief from the sun and heat is a necessity. Retractable awnings not only protect you and your property from the from the sun’s harmful elements, they also reduce energy costs and increase your property value. Perfect for lanais and windows, enjoy the accessibility of shade when you need it the most, and an open view when you don’t. Since 2004, Storm Guard Solutions has been the premier provider of home protection and comfort throughout Collier and Lee Counties. Retractable Awnings Provide Convenient Flexibility by Providing Shade when you Need it the Most! Shade or Sun: You get the best of both worlds, more shade when you want it and more sun when you want. Extend or retract your awning with a push of a button or turn of a crank, it is that simple to make your outdoor living area into something usable and much more comfortable. Enhance Your View: By lowering your awning and eliminating glare you can enhance the view of your beautiful lawn and garden. 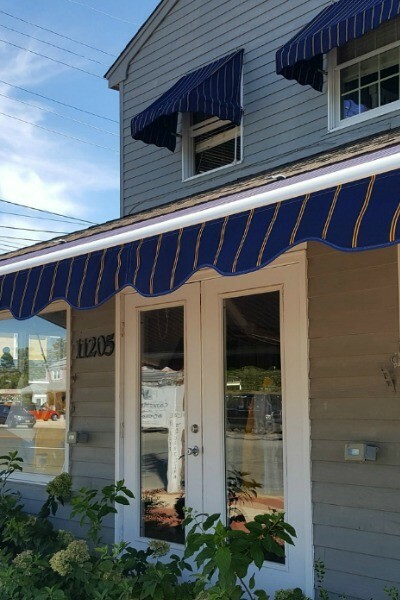 Beautify Your Property: Increase your property value with a high-end custom designed retractable awning. Expand Your Outdoor Living Space: A custom designed retractable awning allows you to expand your homes living area outside. Control Room Brightness: Retractable awnings can be retracted during darker times to allow more natural light in your home, a definite advantage over fixed awnings. Protect Indoor Furniture: Protect your furnishings from the damage caused by the suns deadly UV rays. It can dramatically increase the lifespan of furniture, window coverings, carpet and flooring. Save on Utility Costs: Lower your energy costs year around by extending your awning on sunny warm days, this can save up to as much as 25% of Air Conditioning costs. On cold days retract your awning to allow the sun to help heat your home. Stay Comfortable, Call Storm Guard Solutions Today! Our team of experts have over 2 decades of experience providing quality retractable awnings in Naples and Southwest Florida. Our commitment is to provide our clients with superior products at fair prices. Our solutions and simple and affordable! Call today to ensure your families comfort tomorrow.